While yes, Post Animal does count Joe Keery, best known as Steve from Stranger Things, among their lineup, the actor’s recent fame shouldn’t overshadow what is, in fact, an excellent up and coming psych rock group on their own (plus, Keery’s involvement has seemingly diminished, and he opts out of live shows these days). Hailing from Chicago, the band earned positive praise for their early efforts, particularly 2016’s The Garden Series, and inked a deal with Polyvinyl ahead of their excllent full-length debut, When I Think of You in a Castle, earlier this year. 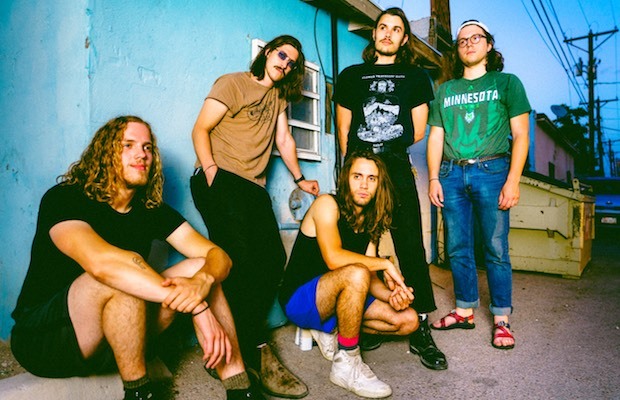 The road worn outfit have broken out of the DIY circuit to appear at an increasing number of festivals over the last year, including this summer at Bonnaroo, and have also hit the road with acts like White Reaper, Wavves, and Twin Peaks. With mounting hype, it’s no surprise to see the band headlining Mercy Lounge tonight, Dec. 12, after packing out The High Watt earlier this year. Joining Post Animal are buzzy alt/indie rock duo Illiterate Light, who hail from Virginia and have made quite a splash with their earnest, layered, and harmonic sound in just a few short years, and locals by way of Bowling Green Dan Luke & The Raid, the fast-rising psych-rock project fronted by Dan Shultz, the little brother of Cage the Elephant’s Matt and Brad Shultz. Needless to say, this is a solid bill from top to bottom, and if you’re looking for a cool mid-week show to tickle your psych and indie rock fancy, you can’t go wrong with this one; grab tickets here! Post Animal, Illiterate Light, and Dan Luke & The Raid will perform tonight, Dec. 12 at Mercy Lounge. The show is 18+, begins at 8 p.m. (doors at 7 p.m.), and tickets are available to purchase for $15.